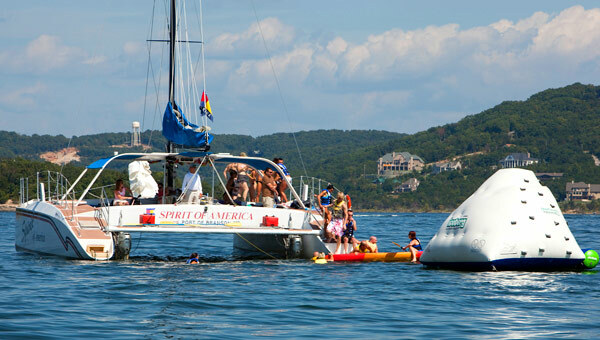 Step aboard this beautiful 48′ sailing catamaran as Spirit of America takes you on a one-of-a-kind sightseeing or swimming Table Rock Lake experience! 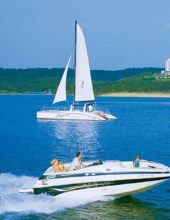 Table Rock Lake Catamaran Cruises! 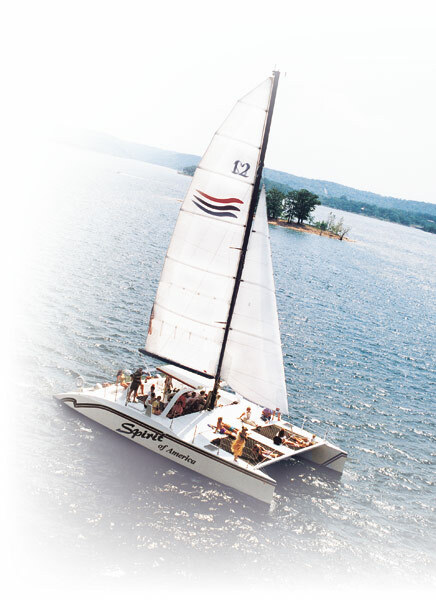 Spirit of America Sailing Catamaran Lake Cruises! Swim in Table Rock Lake! 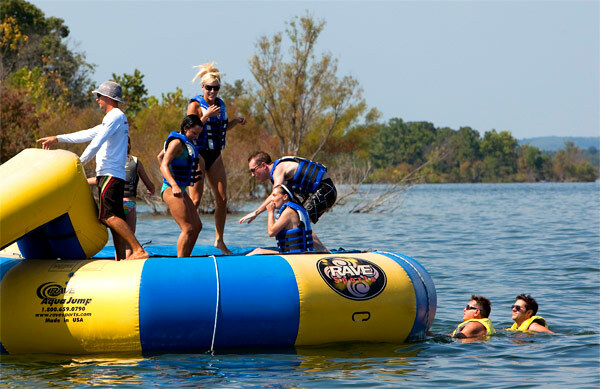 Swim Cruise with Slides, Inflatables, & More! Cruise Table Rock Lake Aboard a Beautiful Catamaran! 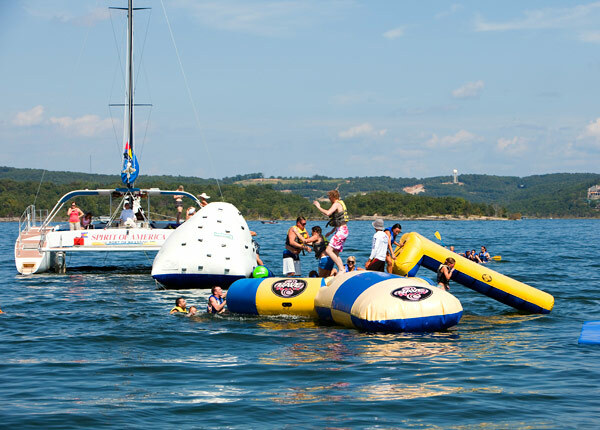 Experience the Ozarks like never before as you hop aboard the Spirit of America sailing catamaran at State Park Marina on Table Rock Lake! 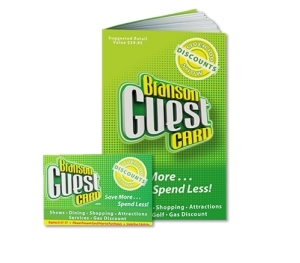 Sightsee, Swim, or Relax on one of Branson’s Popular Lake Cruise! 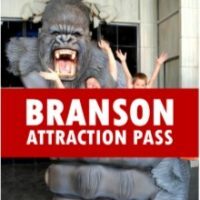 With two different lake cruises to choose from, the Spirit of America offers you a unique and one-of-a-kind visit to Table Rock Lake unlike anything else in Branson! Whether you’re wanting a leisurely tour on the water or you’re looking for a more fun and active cruise, there’s something fun for everyone to enjoy no matter which cruise you take part in! Each day at noon passengers embark on a comfortable, relaxing, and leisurely sightseeing tour of the lake. 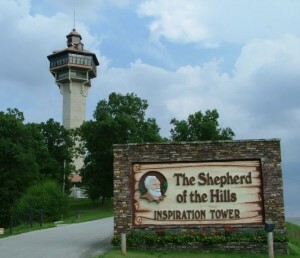 This approximately 90-minute excursion allows you to kick-back, relax, and enjoy the gorgeous setting with beautiful views of the water and surrounding Ozark Mountains and forests. 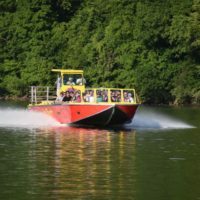 Perfect for all ages, this cruise is a great way to experience Table Rock if you’re not wanting to swim. Departing at 2:00 pm each afternoon, the Spirit of America embarks on a swimming cruise! 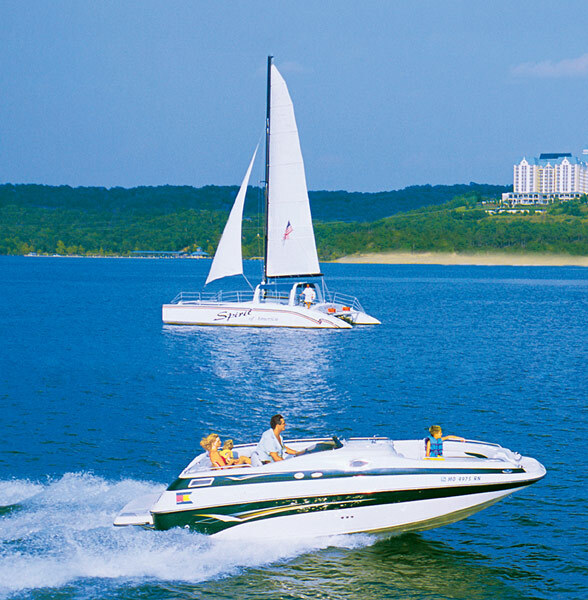 Not only will you get to take in some sightseeing on your adventure, but you also get to play in beautiful and refreshing waters of Table Rock. 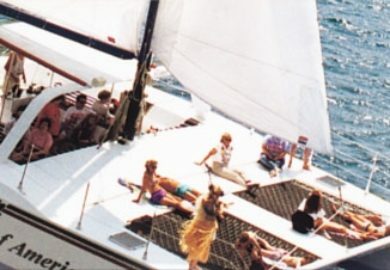 The catamaran provides plenty of water activities, inflatables, slides, and toys for you to enjoy during the swim – or you can rest and relax aboard the deck. Accommodating up to 49 passengers, the catamaran will give you a once-in-a-lifetime experience that will leave you with lifetime memories! 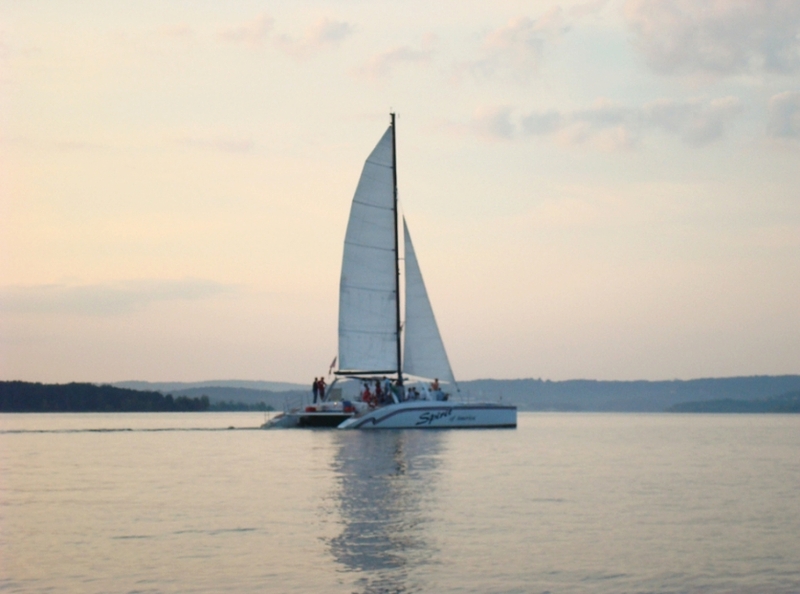 Kick back as you leisurely cruise the waters aboard this modern, state-of-the-art, Coast Guard-certified sailing catamaran that is sure to be the highlight of your Branson vacation! For your enjoyment, there are drinks and snacks available on-board your cruise. Clothing: Rubber-soled shoes are highly recommended for your safety, and of course please wear swimming attire if you’re planning on going on the swim cruise!